What are you doing New Year's Eve? I'm hosting a party at home, which is my favorite way to celebrate, but whether you're going out or keeping it low key, I think it's always fun to wear a little sparkle. Here are some of my favorite sequined, beaded, spangled, and all-around glamorous New Year's Eve looks. 1. Whenever I wear a romper or jumpsuit, I usually burst out in giggles when I go to the ladies' room and realize I'm totally naked. Which might be extra fun after several glasses of champagne. I love the sleeves and the detail on this one, and it's a good option if you have amazing legs, or are celebrating somewhere warm. 2. Sequined pants kind of seem like a bad idea, and yet these have a wider, more forgiving cut. They also come in a darker silver color, which might be even more flattering. Also a good choice for those of you who hate dresses and/or want to stay extra warm. 3. There are silver and gold sequins...and then there are hot pink ones. With the formfitting cut and the bold color, this one is not for the shy, but I also think it's one of the most elegant (and warmest!) looks here. 4. This rainbow dress looks like it's made for Instagram, which is not necessarily a bad thing, because it's just fun. I love the bigger pailettes and all of the psychedelic colors. This is also not one for the shy (or the big-busted). 5. I love how the pattern on this blazer looks all Art Deco, and you can throw it on over anything from a basic black dress to a T-shirt and jeans. It's probably one of the more versatile pieces here and, at $100, kind of a no-brainer. 6. I already own a similar skirt, but I'm tempted to buy this one—I think it has a very flattering line, and the pailettes are a little unexpected. 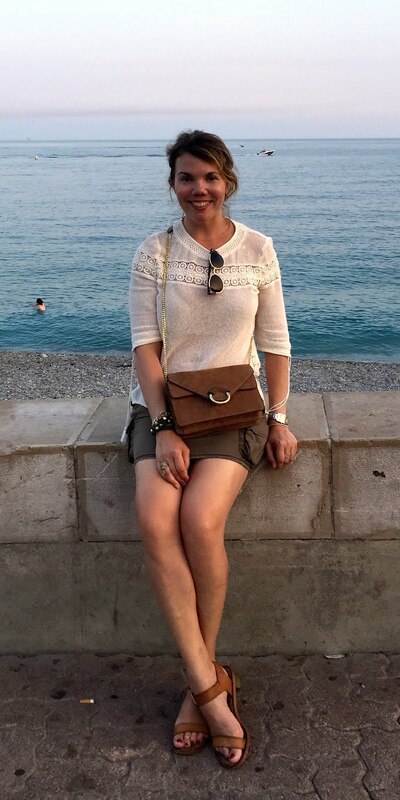 I like the flexibility of being able to wear something different on top, too, depending on the weather or the season. Or my mood! 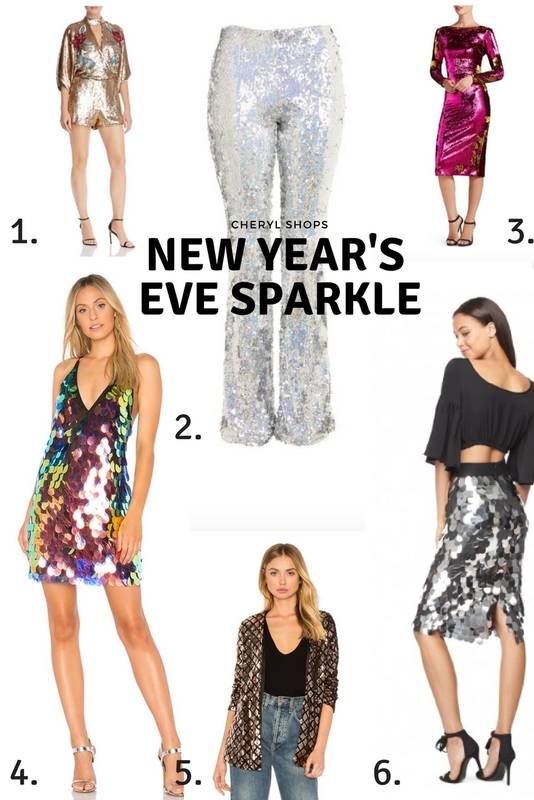 What are you wearing New Year's Eve? Tell me in the comments below! Wow. I love all these gifts. Wonderful, Cheryl.